As ecological impact continues to play an important part in packaging choices, global initiatives from brands and sustainable practices are pushing innovation within materials further. Sonia Sharma finds out more about how producers are developing new, sustainable production methods. Consumers are demanding more value from their packaging and have an increased awareness surrounding brand practices. With steady growth year after year, beverage brand owners are faced with the task of improving their pack solutions and utilising the materials they have available to them. Although sustainability has global appeal, the ways in which consumers view sustainability can vary. As consumers are paying closer attention to product sourcing, ethical principles and sustainability credentials when they browse for products, drawing attention to the use of sustainable packaging materials can boost the credibility and trustworthiness of brands. Packs that spotlight these credentials may be more appealing to their audience as they may see such claims as reassurance that their product choices can contribute to protecting the environment. One of the ways they assess sustainability is through the message behind the product design, in addition to the materials that the brand owners are using. Considering the circular economy when creating a package is becoming one of the top factors for brands and the recyclability of the materials is something consumers hold in high esteem. The road to a 100% plant-based beverage package has been furthered by global beverage major Coca-Cola with their innovative PlantBottle solution. The brand is aiming to replace the PTA component with plant-based PET for its entire range of PET plastic bottles by 2020. “We’ve found a way to make MEG from plants (bio-MEG), which is why we say our PET plastic is partially (up to 30%) made from plants” the company states. When the pack is recycled, it can be used to make new PET bottles or other products which are made from recycled PET. In addition to this, PlantBottle Technology has the potential to reduce the amount of petroleum used around the world and increase the use of renewable materials. Currently, the plant-based part of this material comes from sugarcane-based bio-monoethylene glycol, however the company expects these components to also be derived from waste such as fruit peels, bark, corn cobs and stalks. “It’s the next step on our journey to making all of our PET packaging from renewable resources” a Coca-Cola spokesperson explains. One of the latest trends that has firmly been cemented into global brand owner strategies is the importance of light weighting and, in particular, how the material is used for the beverage solution to contribute to the overall initiative of the company. Light weighting allows vendors to reduce the cost of transportation, encourages recyclability, lowers carbon footprint and helps to save on resources during filling. Water brand Belu introduced two new initiatives with lighter materials; The brand launched their 750ml Sports Cap bottle with 50% recycled PET, as well as their lightest weight glass bottle – Ethical Glass. 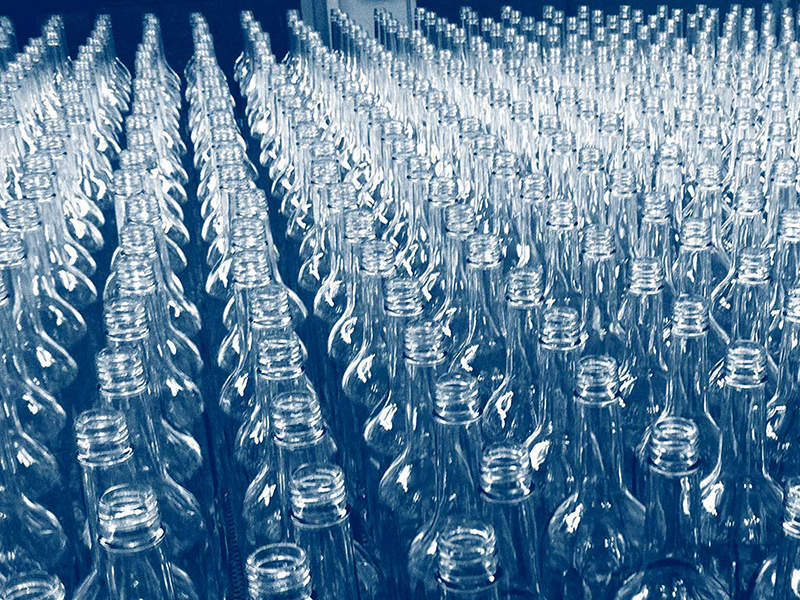 “Glass is an energy intensive product to produce, so creating a lighter weight bottle means we can reduce the amount of glass we need to produce, reduce the weight of goods on vehicles and transport them with less energy” said David Balhuizen, head of operations at Belu. One of the lightest packaging materials that can provide a complete protective barrier is aluminium. Beverage cans today are among the lightest pack solutions while at the same time being particularly robust. Aluminium has been a firm favourite within the soft drinks sector which is also demonstrated by the new Sprite package which showcases six can designs with different animal characters on it. The carbonated beverage pack has areas of thermochromic inks incorporated into two areas of the design – the speech bubble background begins as pale blue and then changes to a darker blue after chilling and then as the can becomes warmer, the second half of the message appears in white. Another market sector that is capitalising on the versatility of this material is craft beer. The latest unfiltered lager offering from And Union uses an aluminium can instead of a traditional glass bottle. The body of the can has an all-over embossed pattern of differently sized tessellating rectangles and squares and is printed white with a subtle pearlised effect. The combination of an embossed design and a single, bold colour creates stand-out presence, whilst simultaneously adding an element of tactility.